It is utterly important to lay the foundations of good dental health at the earliest time possible. Although your children’s deciduous teeth will eventually fall off and give way for the growth of their permanent teeth, they still should be cared for. Experts recommend that kids should visit the dental clinic within 6 months after the first tooth arises, which is usually around one year of age. 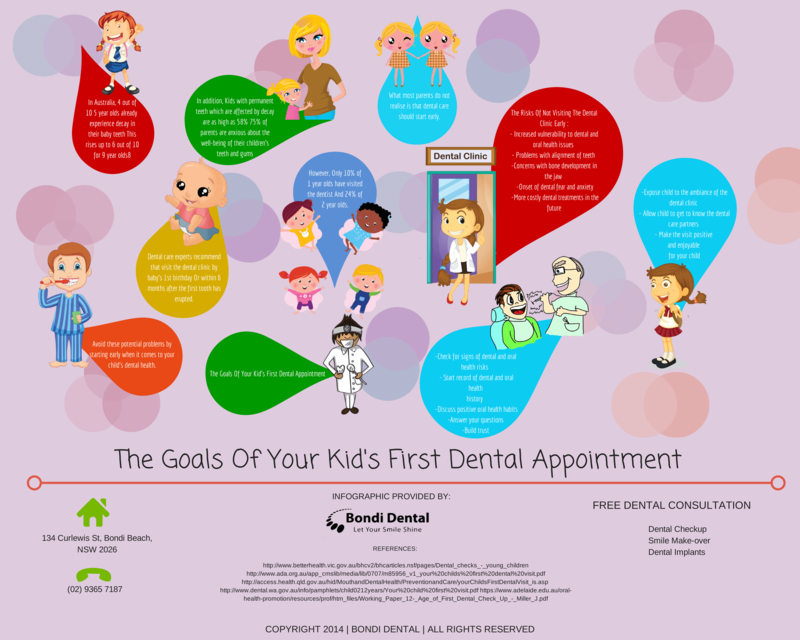 The first dental appointment of your kid is very crucial. It is during this time that your kid gets to experience what it is like to be in the dental clinic. As such, it is very important to make sure that this visit is pleasant and enjoyable for the young one. Also, your dental care partners will give you excellent tips on helping your kid achieve and maintain optimal dental and oral health. For expert guidance on upholding the well-being of your kids’ teeth and gums, consult your trusty dental care partners here at Bondi Dental. Your reliable dentist in Bondi is committed to helping the entire family enjoy a lifetime of perfectly healthy smiles. Call us today on (02) 9365 7187 or book an appointment online to claim your FREE Dental Consultation. At Bondi Dental, we let your smile shine.